I once thought references to political and civic leaders’ by their initials denoted a recognition of their greatness, of their longstanding contribution to American discourse, debate and our way of life. Social media now have cheapened that designation. A 29-year-old freshman member of the U.S. House of Representatives, one of 435 members, now has been “elevated” to this iconic status. Alexandria Ocasio-Cortez is now known as AOC. AOC says this, AOC does that, AOC proclaims such and such, AOC makes her presence felt. I keep hearing and reading this kind of reference in mainstream media. I’ll be candid: It annoys me. I’m an old-school kind of guy. I prefer to require political figures to earn their spurs before they become media darlings. Members of Congress do not always deserve the recognition that has been bestowed to the rookie Democratic lawmaker from New York City. Thus, neither does Rep. Ocasio-Cortez. This is likely to be the last comment I’ll make on this particular irksome notion. So I’ll just get it off my chest now and then be done with it. I won’t tune out what this young woman has to say. I’ll comment from time to time. I am going to resist using the initials while referring to her. She hasn’t earned her spurs. At least not yet. Maybe she will over time. For the foreseeable future, I’ll refer to her by her full name and remind readers of this blog that she’s an untested freshman lawmaker who — it is becoming evident to me — looks as though she intends to seek higher political offices. Previous PostPotential tumult awaits officials in AmarilloNext PostWho’ll be left to, um, legislate? This is how social media has usurped the mainstream media. The story, hype or whatever, gets to the public faster with no vetting by the media. The truth is now whatever the sender wants it to be… as opposed to the truth being what the traditional media wants it to be. Yes, John, I would have to agree with you. She is an inspiring figure (and I’m a huge fan), but it’s premature to elevate her to that status. 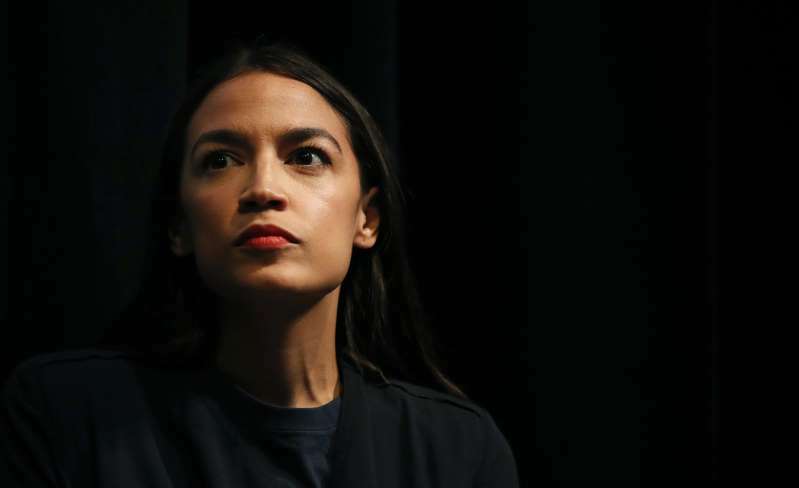 I tend to rely on tradition, which holds that freshman members of Congress should be seen and not heard — especially to the extent that AOC is being heard these days. I hope she justifies the faith so many Americans have placed in her. Thanks for your comment.